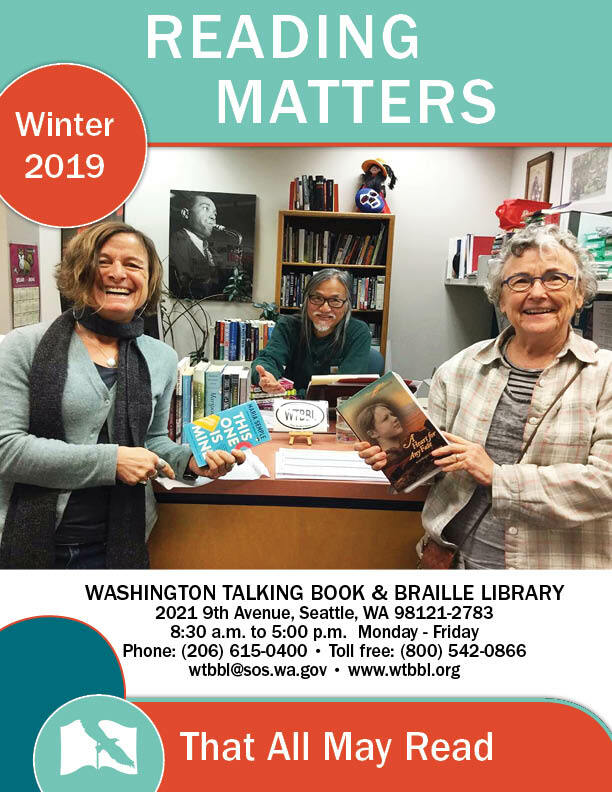 On a quarterly basis (January, April, July and November), WTBBL posts its Reading Matters newsletter. It includes news from our program manager, department updates, lists new books in audio and braille produced at WTBBL, spotlights our staff and volunteers, and much more! Reading Matters is provided in text, electronic braille and audio versions on our website. To receive Reading Matters in your email box, please subscribe by emailing wtbbl@sos.wa.gov.